You are currently browsing the tag archive for the ‘Julie Andrijeski’ tag. 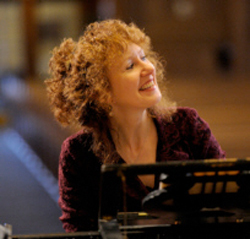 Apollo’s Fire will present seven local subscription programs totaling thirty concerts during its 23rd season in 2014-2015. 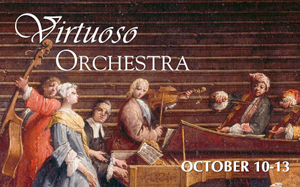 Additionally, Cleveland’s baroque orchestra will make its debut at New York’s Metropolitan Museum of Art in December and at London’s BBC Proms next August, undertake a national tour of Monteverdi’s 1610 Vespers in November, and appear on the Pittsburgh Renaissance & Baroque Society series in April. 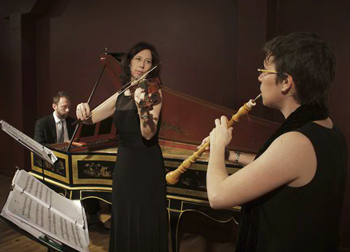 Les Délices, the Cleveland early music ensemble that devotes itself to resurrecting treasures from the French Baroque, designed its mid-winter program, Conversations galantes, around the idea of musical conversation as that social art was practiced in the salons of eighteenth-century Paris. Alas, there were fewer voices in last weekend’s discussions than originally planned. Nagy had lined up a program of quartets, but a sudden illness reduced the group to oboe, violin and harpsichord and the playlist had to be changed accordingly. Happily, the repartée in the altered program was probably no less eloquent. 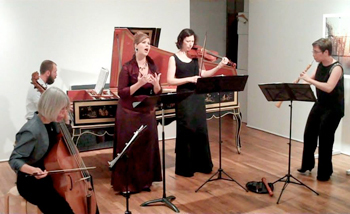 In music by Rameau, Leclair, François Couperin and Forqueret, Debra Nagy, Julie Andrijeski and Michael Sponseller provided plenty of engaging wit and delicious colloquy to delight the audience at Tregoning & Co. gallery on Saturday evening. The salons of eighteenth century Paris sparkled with witty repartee, political argument, fashionable taste-making, and philosophical deliberation. The rigid hierarchy of the French court disappeared as ranks and genders mingled in exquisite conversation. 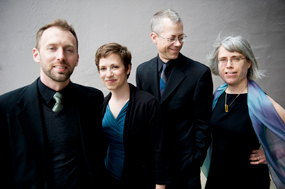 On Saturday, February 1 at 8:00 pm at Tregoning & Co. Gallery in Cleveland and on Sunday, February 2 at 4:00 pm in Herr Chapel at Plymouth Church in Shaker Heights, French Baroque specialists Les Délices will recreate that environment with their program Conversations Galantes. Anger, murder, guilt, and recrimination! The last episode of Breaking Bad? No: this was the opening concert of the season for Les Délices, the remarkable Cleveland-based chamber group specializing in music of the French baroque. The program, “A Woman Scorned,” featured lurid stories of betrayal and revenge involving five of the great women characters of classical myth. These were stories that the court of Louis XIV loved, apparently seeing them as safe ways in which to rehash their own tortuous infidelities: Juno, the goddess jealous of her philandering husband Jove; Phaedra, driven mad by passion for her stepson; Armida, sorceress and seductress; Circe, who turned men to beasts; and Medea, sorceress and lover—passed over by Jason for a younger woman, she proceeds to poison her rival and then murder her own children in order to drive her ex to kill himself. Only six months after receiving a liver transplant at Cleveland Clinic, Michael Lynn gathered a group of friends to present a benefit concert for the program that gave him a new life and restored his career as a performer on the recorder and baroque flute. “A Baroque Musical Conversation” drew a good-sized audience to Gartner Auditorium at the Cleveland Museum of Art on Saturday evening, May 11 for masterful performances of concerted music by Telemann and Handel as well as cameo solo performances of works by Louis Couperin, Handel and Marais. As I write this, Ohio seems to be stuck in an endless winter of discontent. But the ungiving weather was more than a little mollified by the warm elegance and sprightly eccentricity of this weekend’s seasonal program by Les Délices. The group, founded and directed by baroque oboist Debra Nagy, is now completing its fourth season, and specializes in the music of the French Baroque. The centerpiece of the program was a substantial cantata titled L’Hyver (Winter), one of a cycle of four cantatas on the seasons by the early-18th-century composer Joseph Bodin de Boismortier. With appropriate Baroque word-painting, Boismortier depicts winter’s horrors—bare trees, mountain storms, and frost-stricken buds—then shifts to winter’s pleasures—dances, feasts, and plays. Winter’s destructive fury turns out to be a foil to the delights of a Parisian salon, well heated and well stocked with wine and music.